My evolution as a composer followed several distinct – though interrelated – stages. Early in the '70s, I was involved in mathematical researches concerning the shaping of sounding masses by means of probabilistical procedures. Actually, I gradually stepped from most deterministic processes (i. e. for example, the Fibonacci sequences) to more elastic and free-of-precise-algorithms methods, in order to design complex and mobile forms. From here on, I made the discovery of the generative grammars (Chomsky sensu) – especially of those so-called free-of-context grammars – and I built, with them, a series of musical architectures based on a deep analysis of the heterophonical syntax (HETEROSYNTHESIS I; II ). On the other hand, working in several electroacoustical laboratories, I was tempted to try to give a regular, formalised shape to a – in my opinion possible – translation of some techniques, usually met in electroacoustics (the frequency modulation, the re-injection loop, and so on), in the field of pure instrumental music. For example, a concerto for solo instrument and orchestra (i. e. "CLARINET CONCERTO") could be regarded as a piece, basically composed for this instrument, while the orchestra plays the role of an electronic device, that transforms, disturbs the sonorities of the soloist, by means of precise methods simulating the electroacoustics. At the beginning of the '90s, I made the discovery of the recent theories about complexity. These theories show how a highly densified web of connections is, in fact, directed by a few set of initial rules. By means of such processes as the feed-back these rules determine a sophisticated strategy of impredictible relations; the patterns issued from such a method give a complex conceptualised image of what might be the musical form thought as a process. More recently, I felt myself mostly attracted by the concept of de-construction (which, genuinely, belongs to the French philosopher Jacques Derrida). This concept is based on the idea that the work of the past might be considered neither as a source of nostalgic inspiration nor as an adversary to be put down by all means, but rather as a non-finite source of dialogue between different levels of mobile articulated structures, mirroring both the past and the present. 1948 – Born on the 27th of July in Brăila (România). 1972 – Graduated from the Academy of Music in Bucharest. Studies in composition with Ştefan Niculescu and Aurel Stroe. 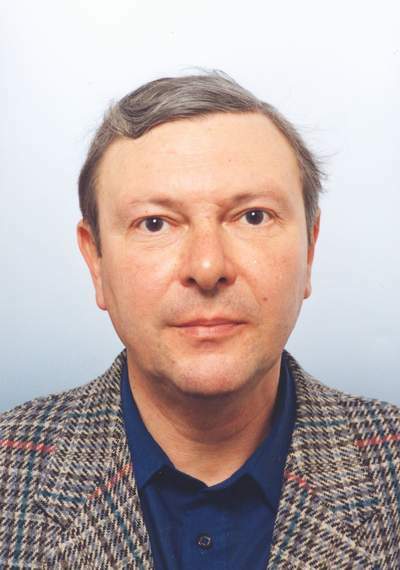 1983 – Invited to the Institute for Electroacoustical Researches in Berlin. 1990, 1993, 1996 – Three stages at IRCAM, Paris. 1993 – Lectures at the TECHNISCHE UNIVERSITÄT in Berlin. Invited by Centre "Yannis Xenakis" (Les Ateliers UPIC), Massy, to write a work for string quartet and electronic sounds (collaboration with Gerard Pape, Curtis Roads, Brigitte Robindoré). 1996, 1997 – Lectures at the LONDON UNIVERSITY. "...G..." (based on a short story by Mircea Eliade). / 1987 - 1988. First performance: Bremmen, May 1988, Pro Musica and Bucharest Radio Orch. First performance: Bucharest, Jan. 1980, Radio Symphony Orch. First performance: Bucharest, Mar.1980, Radio Symphony Orch. First performance: Timişoara, May 1996, "Banatul" Symphony Orch. First performance: Bucharest, Nov. 2001, Trio APERTO & "George Enescu" Chamber Orch. First performance: Bucharest, May 1987, Leontin Boanţă & the Radio National Orch. First performance: Bucharest, May 1997, Cécile Zaroux & the Academy of Music Bucharest Orch. First performance: Bucharest, Mar. 1998, Trio CONTRASTE & the Radio National Orch. First performance: Bucharest, May 2002, Marius Lăcearu & the Radio National Orch.